As one of the nation’s leading research and creative activity institutions, Florida State is home to hundreds of subject matter experts who stand ready to share their expertise with interested media. Welcome to Florida State's Office of University Communications website, dedicated to the information and resources associated with the institution's integrated marketing and communications strategy. 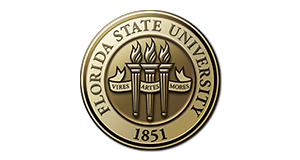 If you are a first time user or frequent visitor to this site, we encourage you to be curious and to discover how we can collaborate, innovate and create to advance Florida State’s reputation. Whether it's university-wide initiatives, media relations, creative services, market research, or social media messaging campaigns – you will find an award-winning team of dedicated partners and experts at the ready to provide marketing and communications solutions. We provide professional support starting with the basics through a strategic, creative and comprehensive solution – the message, the audience, the stakeholders, the communications channels and the desired outcome(s). Amazing things happen every day at Florida State – let's work together to champion an even greater understanding and appreciation of the individuals whose stories are "inspiring the extraordinary." As always, we welcome your feedback and suggestions on how we can enhance our support of you as well as Florida State’s strategic priorities, while we also continue to enhance our integrated marketing and communications resources. Do you need assistance from University Communications? Find your department liaison here. Wherever you are, stay up-to-date with your Florida State. Let us help tell your story through any of our various services. For journalists, producers and editors.